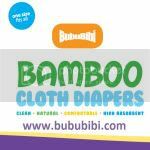 BubuBibi - www.bububibi.com - Bamboo Cloth Diapers: Reviews on "Our Curse" - Full movie here! Ok, I guess I should have waited for 1 more day, then, I will get to watch "Our Curse" in the comfort of my PJs in my room. But I guess it doesn't matter... at least I got to watch all 5 of the nominees for the 2015 Oscar - Short Documentary category. If it were to be me, I would either pick Our Curse, not just because that's what Laynson has, more so it was very real, very touching and I can totally relate since I've been through this and also Veteran's - Press 1. It is sad to see so many veterans suffering from PTSD thinking of giving up their life, leaving their family. Anyway, the movie was really good. I am sure those mom, not only with child with CCHS but any mom that has to spend a long time in the NICU and then having to trach their child. The part that hurt most was during trach change. I saw Leo crying and there wasn't any sound that came out. I still remember, refusing to trach Laynson even though I know that it's the best option for him. 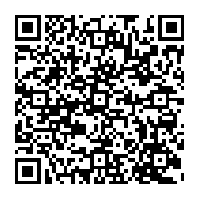 I asked, will I hear him, will he talk? They all told me yes, you will hear him and he can talk. That was just partially true. After the surgery, Laynson was put in coma for 5 days to prevent him from moving much. 5 long and painful days waiting for your baby to wake up and when he woke up, he started crying and it was silent.... wait a minute.... they all told me that I will hear him, I quickly called the nurse, I told her, something didn't go right, something must have happened during the surgery, there is no sound. They then said, ohh it's normal, you won't hear him unless he wears a cap or passy muir. WHAT???? Nobody mention that he has to wear something to make sound.... I said to her, please put it on now, I need to hear my baby cry.... she said no mom, we can't do that, he's on the vent 24/7. Heads down... back to my sit and sob and sob again :(. There were a lot of challenges in the past, like the part where the O2 dropped so quickly and he didn't show the baby but you can see from the machines that it dropped from 94 to 90 to 88 to 81 to 77 .... all well within seconds. We deal with that daily in the past and it has been less frequent but tell me, when you were pregnant, you read books like "What to expect, when you're expecting", and then, you have the "What to expect, First Year".... it doesn't tell you what to do when your baby turns blue and literally dead in your arms. I still remember the first time seeing him being that way, I had nightmare... every night I close my eyes, I would imagine looking at a dead baby. It is traumatizing. We were not taught to have to deal with this.... these are things that I just have to pick and go during my busy days. Then like in the movie, she had to call the equipment company, it is a constant battle. Then medicaid decides to cut your supplies, cut your nursing hours, and then now, I have to learn to be an attorney, defending my child's rights to things we need to keep him alive. I wear so many hats till I lost count. I learn to be a nurse, a pulmonologist deciding on how many breathe he should take on his vent (of course within the limit the doctor gives me), deciding if we should give him treatments, decide to go to the ER right away, then become a scheduler to schedules our frequent doctor's visits, and then, on the other hand, I have 2 other kid that needs me the same, so I have to still be a mom, a sister, a daughter, a wife and then, at work, I have to be a Consultant and lastly for business, I have to be a purchaser to deal with the factory, a shipper to arrange shipment, a customer service person to deal with issues, an accountant to deal with the taxes, social media specialist.... the list goes on. Trust me, I am not complaining, I am glad that these task were given to me so that I don't have time to sit down and be depressed about what's all that is happening in my life. I feel bad when I didn't read to my boys, when I haven't ship the item to my customer, when I didn't respond my emails in a few days but trust me, I really tried my best. I really wish that God would have given me an additional 10 hours in a day together with CCHS. Wishful thinking :) Again, I apologize to the customers that have yelled at me, telling me that I am not fit to be in business.... I tried my best. That's why I told myself that 2015, I would like to turn this around, I want to relocate my time and put my best in BubuBibi.... after all, it's another child of mine. My friends tell me, you are a strong women, I don't think I can handle it if it were to be me. I respond to them.... oh no... when it's you, you will know how to handle it. The survivor mode will turn on and you will be able to handle it as well or if not better. It's ok, you are not given a choice, STRONG is the only option for you. Overall, it was truly walking back to memory lane when I watched this. I have watched it over and over again and I am glad to see what it was in the past and what I've gone through and somethings, I am still going through but the most important thing is, I still have HIM! I wouldn't trade anything for my little fighter... my hero and also his brothers, who has always been there for him, teaching him to be tough, be the fighter he is. This is a short 27 mins movie, please take time to watch, hopefully someday, someone would come up with a cure and no kids and parents would have to go through this.